It's maze madness all over again, only with a fresh look and feel. It’s been 35 years since Pac-Man first hit arcades, and Bandai Namco has celebrated the classic chomper’s big birthday in a couple key ways. For example, the company opened a huge Pac-Man-themed arcade restaurant in the Chicago suburbs, and hosted a huge bash that featured original game creator Professor Toru Iwatani. On the other hand, Pac was a big part of this summer’s execrable Adam Sandler film, Pixels. Hey, you win some and you lose some. But what about a fresh spin on the classic game? 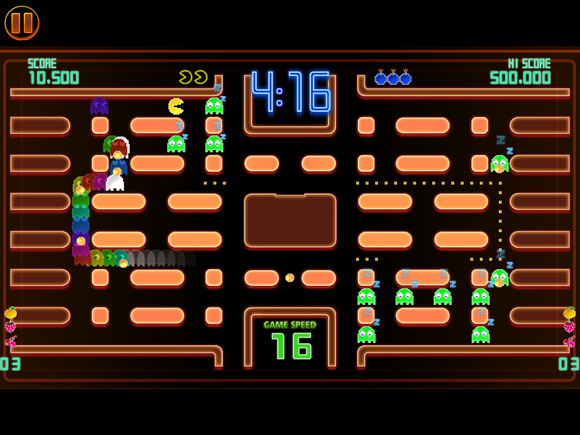 Sure, the newly-released Pac-Man 256 is neat, although the endless scrolling board loses some of the nostalgic allure. Instead, you can turn your attention to Pac-Man Championship Edition DX ($5). It’s not a completely new take on the game: DX hit consoles back in 2010, back when his 30th birthday was a big selling point, but it’s only just moved over to iOS. The glowing, default graphics option puts some eye-catching flash atop the classic design. Luckily, as with the original game, time hasn’t dulled Championship Edition DX’s appeal, as this rapid-paced remix of the maze-based dot-muncher is a blast, sending the iconic hero through timed challenges that become faster and more frenetic with each passing moment. 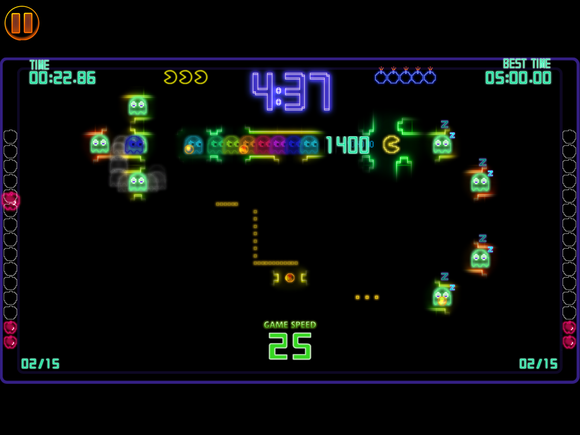 It’s not exactly the game that old fans will remember from the ‘80s, but it keeps the spirit of the classics and works very well with touch controls. Ready to prove that you’re a Pac-Man champ? 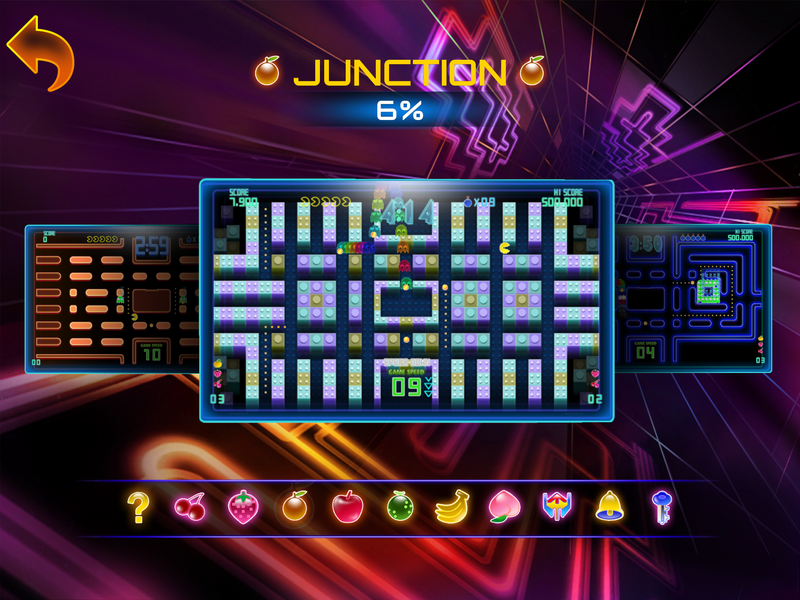 Here are three ways in which Pac-Man Championship Edition DX keeps his gaming legacy alive. Of course, there are more muted designs like in the olden days, but the game still plays the same. It’s a different flavor: Pac-Man is great, and Pac-Man is a true classic—but we’ve all played it, and there are no shortages of ways to still enjoy it today. Simply updating the graphics wouldn’t do much to advance the formula, but luckily, Championship Edition DX goes in a different direction. Yes, it’s still about quickly navigating tight mazes filled with ghosts and power pellets, but DX doesn’t pack its mazes with dots from the start. Instead, it drops in clusters of them on the fly, challenging you to keep moving all around the maze to grab them. As you whip through the paths, you’ll awaken ghosts that follow you, creating a snake-like tail that can make movement trickier. But when you finally grab a power pellet, the joy of quickly chomping a few dozen ghosts—and snagging a huge score boost in the process—is utterly fantastic. Pac after dark? One maze only illuminates the ghosts, power pellets, and Pac-Man himself. Better memorize it in a hurry! It’s chaotic—and tough: Each level begins at a fairly leisurely pace (unless you’re on a higher difficulty setting), but as you gobble up fruit, ghosts, and dots, the speed rating ticks upwards until you’re nearly a blur blasting through the neon hallways. Speed is another distinguishing part of the Championship Edition experience, and luckily, the “swipe anywhere” controls are up to the task of keeping you in control of Pac’s movements as things get hectic. And although the timed (3 or 5 minute) levels aren’t too difficult, the objective missions—which give you a limited amount of time to eat a certain number of fruit pieces—challenge you to view your route around each maze as a puzzle to solve, as shaving off seconds is essential. It’s a great little tweak on the Pac formula. Each of the wide mazes offers a different arrangement, and each also has its own array of challenges to conquer. It’s hearty: Thankfully, Bandai Namco opted against the free-to-play model seen in a soft-launched early version of the game, and simply put a $5 one-time price on DX. And your investment of just 20 quarters could yield you many, many hours of play, as the game includes 10 different mazes and more than 130 total level objectives across three play modes. It’s a perfect mobile time-filler, whether you’ve got a minute or 10, and beyond the wealth of gameplay content, it also has plenty of visual and audio options, plus a nice modern sheen that works well atop the retro template. 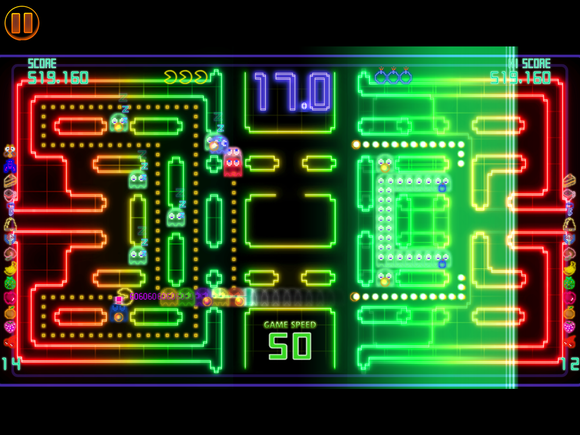 Pac-Man Championship Edition DX does a great job of evolving the classic series formula, and in any case, it’s a much better destination for your dollars than Pixels.